Not unlike any other business, investing in real estate requires an acute attention to detail and the utmost respect for due diligence. Any hope of running a sustainable business is, therefore, dependent on minimizing mistakes and capitalizing on opportunities. There are, however, some mistakes that are more detrimental to new investors than others. Real estate investors have come to rely on the properties they acquire as a means to supplement their bottom line, and for good reason: there aren’t many career paths that can compete with the return on investment real estate is capable of providing. Individual deals, for that matter, are entirely capable of changing the course of one’s career in a matter of months. There are very few things that could, in fact, trump the perfect property. But what if I was to tell you that the properties themselves are far from the most important asset to a real estate investor? Or, perhaps even more importantly, that there is an intangible asset worth more than any other deal you have worked on before. Nothing is worth more to a real estate investor than the people he or she chooses to work with. If for nothing else, a property is a one-and-done transaction; people, however, can contribute to a lucrative career for years down the road. The best investors have the foresight to understand that their relationships can net them more profits than any one deal at a time. For all you know, the next person you choose to work with could be the one to introduce you to your most profitable deal yet. Nothing else carries greater implications in real estate than the relationships you choose to build and nurture. TWEET Real estate is a people business, and the sooner you recognize how far a working rapport with people can take you, the better off your business will be. Far too many investors fail to recognize that the people they work with are more important to their bottom line than the deal itself. They place a priority on their profit margin and neglect those that made the deal possible. Whatever you do, don’t place the product ahead of the people. The next relationship you form could be the one that propels your career to the next level. Investing in real estate has become synonymous with many moving parts. Every transaction is contingent on several things falling into place at the perfect moment. The best real estate investors are more than aware of this and implement plans to see to it that things go their way more often than not. Business plans, or systems, have the ability to make success more habitual than chance. It is in your best interest to have a plan in place for how you intend to complete each and every deal that comes your way. However, even the best plans don’t account for the unexpected. There will be times when your resolve is tested more than others. Not everything will go according to plan, and nor should you expect it to. But, those that are prepared for the unexpected have demonstrated a propensity toward success. Having said that, one plan isn’t enough. Investors are always advised to have a backup plan. In my experience, one characteristic has a tendency to ruin a deal more so than any other: complacency. It is never safe to assume the plan you have in place will be carried out without any complications. Always have a backup plan, even if you don’t think you will need it. The more methods you have in place to successfully navigate a given scenario, the more likely you are to realize the results you were hoping for. At the risk of sounding too cliché, a backup plan is something that is better to have and never need, than to need and never have. Don’t make the mistake of being complacent, and be sure to have a backup plan on your next project. There may not be another industry in which growth is promoted more so than the housing sector. Real estate entrepreneurs, in particular, are awarded the opportunity to scale their companies with every deal they successfully close. 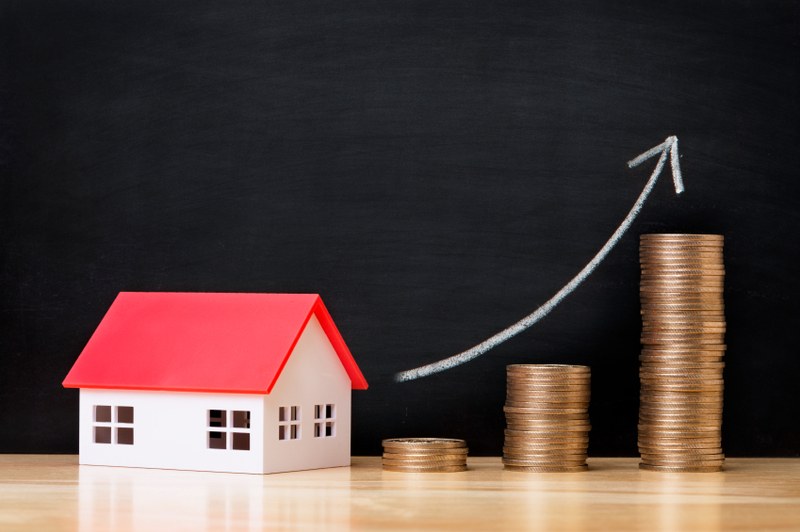 Every property that you make a profit on adds to your bottom line, and can therefore contribute to any attempt to expand. However, investors are advised to exercise extreme caution when contemplating whether or not they should expand on their current endeavors. It is entirely possible to expand beyond your means, and essentially waste all that you have worked so hard to establish. Neglecting to take the appropriate steps over the course of an expansion could do much more harm than good. What’s more, expanding before you are ready is one of the biggest mistakes real estate business owners can make. That’s why it is so important to recognize your own capacity for growth. You must be absolutely sure that your company can even handle growth before you commit to making it happen. Hire new employees with the intentions of them contributing to growth in the future. Implement systems that can repeat successful results, no matter who is carrying them out. Adopt the latest technology, as to ensure you are maximizing your efficiency.